Between work, planning for our wedding, and keeping up with the blog, not going to lie, it’s been pretty hectic! 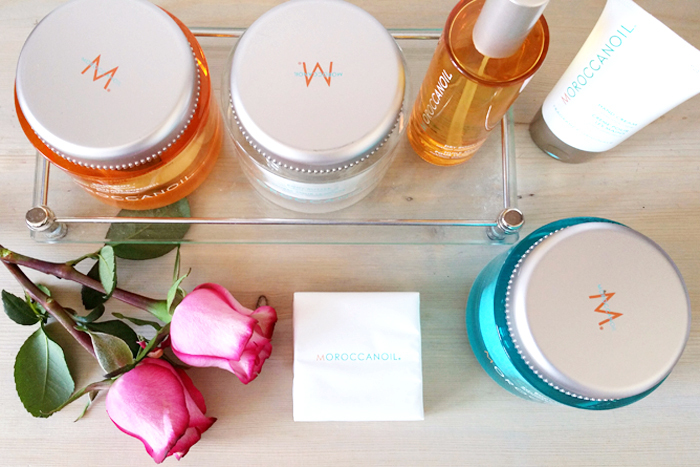 I’m so thankful that my friends at Langton and Moroccanoil sent a fabulous care package to me for a day of relaxation. I decided to de-stress at home and enjoyed a DIY spa day in. I’ve been a big fan of Moroccanoil hair products for quite some time (read about some of top Moroccanoil hair products picks), but I’ve yet to try their body line. What a perfect way to unwind during a brutally cold winter day and recuperate inside and out! Body Buff contains many natural ingredients. Therefore, it is best to leave this product in a cool, dry place. Avoid allowing excess water to enter the container— it’s best to dry off hands before picking up product from the jar and making sure the jar is completely sealed when closing. 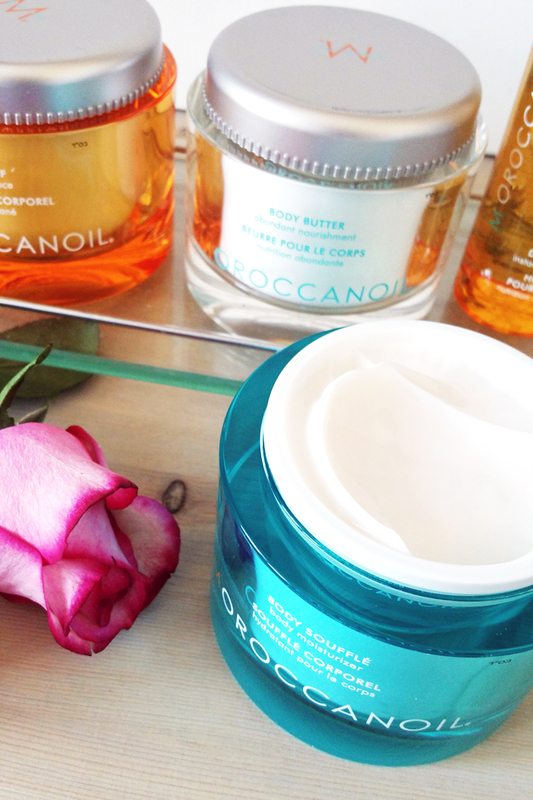 There are two ways to apply Body Buff: For more intense exfoliation, use on dry skin prior to turning on water. Rub product into skin in a circular motion all over body. Rinse clean. Benefits of this method include exfoliation and hydration. For gentler exfoliation, use Body Buff on wet skin in the shower or bath. The product turns into a milky, soothing paste that provides both exfoliation and hydration benefits. I went with the gentler option as it was my first application, I wanted to give it a test before going full force! 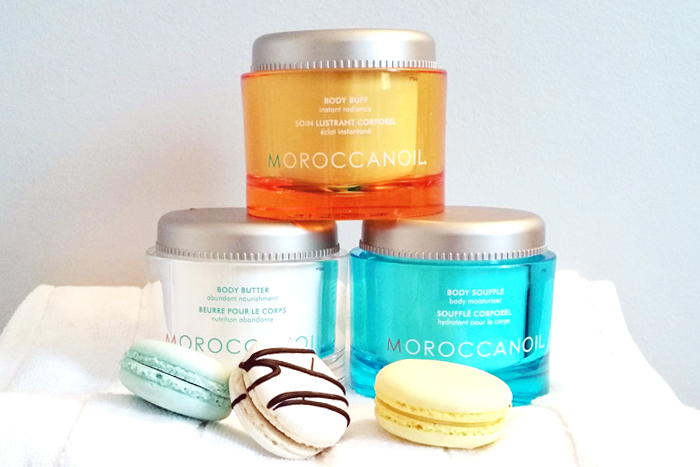 Both the Body Souffle and the Body Butter include moisturizing shea butter and antioxidant-rich argan oil. However, Body Soufflé has a lighter formula that includes aloe vera and features a lighter, “whipped” physical consistency that is milky and smooth. Body Butter, with additional olive, avocado and pomegranate oils, is an ultra-thick cream used to drench very dry skin with much-needed moisture. I’m honestly obsessed with both products, the Body Butter is great for super dry weather such as the type I’m currently experiencing. As you can see in the second photo below, the Body Souffle totally exhibits a “whipped” texture, when I opened the jar, it looked so much like whipped cream… I was tempted to dunk a strawberry in it and lick the “whipped cream” right off! (Clearly… I didn’t). The cleansing bar is gentle and effective cleansing for skin that needs pampering. Moroccanoil Cleansing Bar is a mild body bar that combines antioxidant-rich argan oil and shea butter to moisturize as it cleanses. Delicately fragranced with the signature Moroccanoil scent. Sulfate free and paraben-free. This time of the year, my hand are so bloody dry. If you’re looking to rehydrate, massage Moroccanoil Hand Cream into clean hands and nails throughout the day as needed. Use it to prolong benefits of spa or manicure service. A quick tip: Mix 2–3 drops of Moroccanoil Pure Argan Oil (I used my dry oil instead) with a pearl-sized amount of Hand Cream for added hydration. 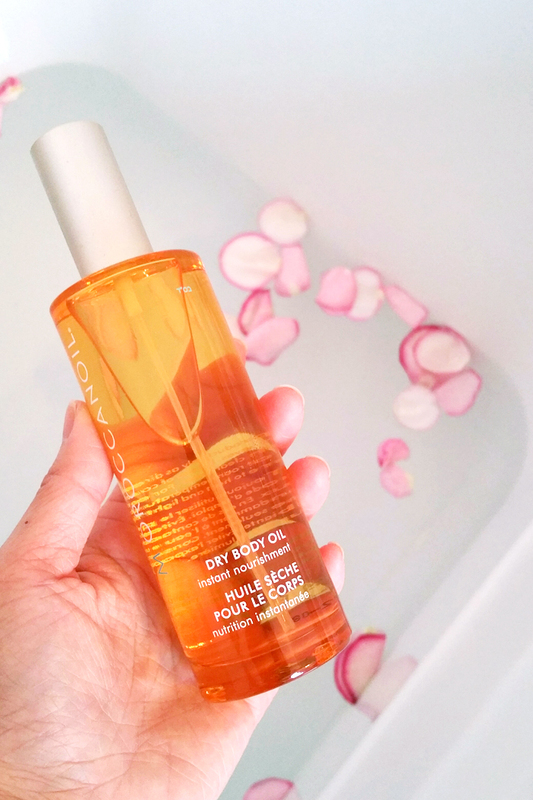 This is an everyday, all-over body mist that hydrates skin while improving texture and tone. The weightless formula instantly absorbs into skin and locks in moisture. I decided to add a few drops into my hot bath along side with a few fresh rose petals, it was a genius idea. 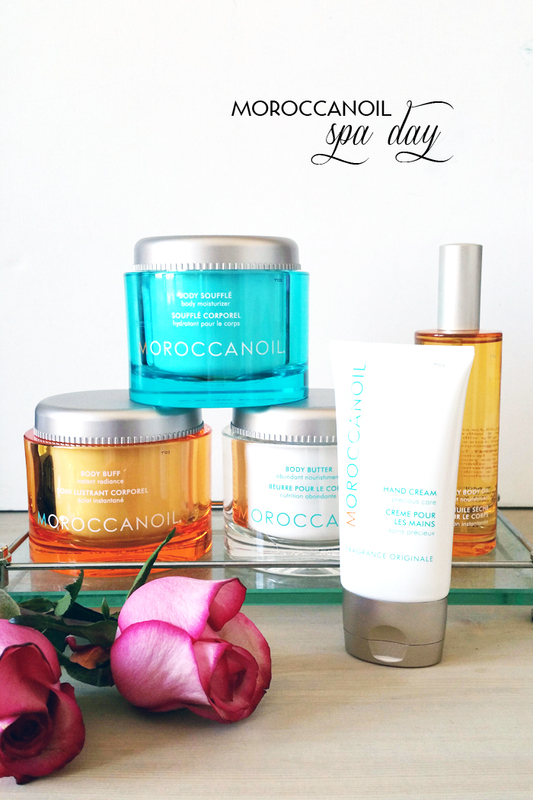 If you’re looking for a special treat, Moroccanoil released a limited edition Luxurious Hydration Set that includes the Body Souffle, Hand Cream, and the hair oil treatment. How often do you treat yourself to an at home spa day? I guarantee you’ll feel super recharged and also your skin will feel silky soft after a dose of the Moroccanoil treatment. Enjoy your week wherever you are!